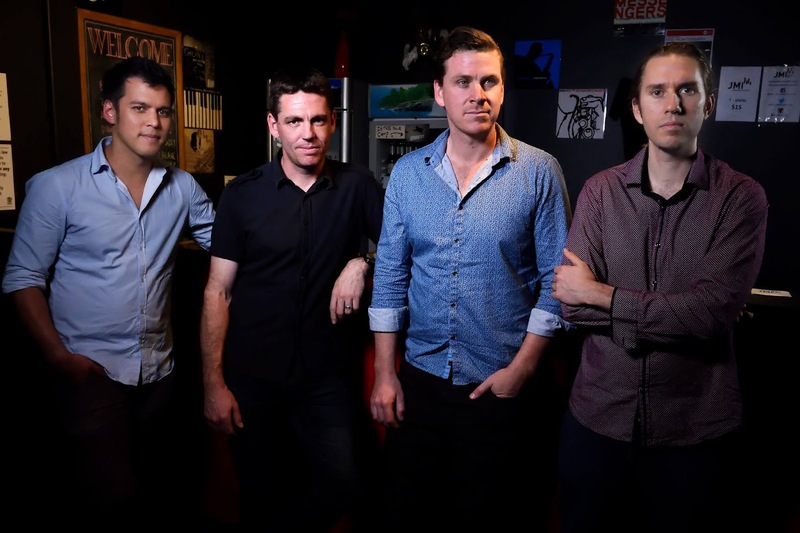 Australian born multi-instrumentalist and composer Bart Stenhouse has a deep interest in jazz, world, fusion and improvisational styles of music and specializes in the guitar, bass guitar and electric mandolin. His playing style blends different cultures and styles to re-define musical genres and experiment with sonic landscapes. Tell us how your journey into the world of music began? My journey into the world of music began when I was 9 years old, originally as a trumpet player. I didn’t really connect with the instrument throughout my former years studying it and I wasn’t really a great student at first! I did have a great teacher, though from Ireland who taught me about basic rhythm, harmony and the value of discipline when working with music, which really shaped me in the years to come. I began playing the guitar at age 10 and really started applying myself to the instrument a year or two later. As an artist where do you draw your inspiration? Life! There is so much around me that influences my writing and playing. Meditation and Buddhism are quite important parts of my life, so momentary experiences and reflective emotions are often enough to push me in a certain direction to write. The study of improvisation in music and cultivating mindfulness in everyday life are one and the same to me. Musically speaking, there are three main genres that have shaped what I do and will continue to do so. They are jazz fusion (and jazz in general), traditional flamenco music from Spain and North Indian (Hindustani) classical music. I am also a huge fan of South Indian or Carnatic music, rock, blues, Brazilian samba and Afro-Cuban music, funk, Western Classical, and Arabic musics. I love music that expresses in honest depth the emotional things that we all experience as human beings – love, pain, disappointment, grief, joy, drive, anger, lust, exhilaration etc. I guess great artists like the late Bob Brozman, my Guruji Debashish Bhattacharya and John McLaughlin have all inspired me also want to collaborate with world cultures and study the beauty of their traditions. Music that explores improvisation excites me. How did your interest in Indian classical music come music come about? I was contacted by a local tabla player in Brisbane to collaborate and he suggested we try and play some gigs together. We ended up putting together a small group with guitar, sitar and tabla and I learnt a great deal in the period it was together! I already had a big affection for Indian Raag music in general before this though, having collected records of a lot of great Hindustani artists such as Pandit Shivkumar Sharma, Pandit Ravi Shankar, Pandit Hariprasad Chaurasia and others. On top of this I was also a huge fan of John McLaughlin’s work (still am) particularly with Shakti and Remember Shakti. This group in particular helped me to decide to dedicate my life to learning and exploring world music traditions. You are a student of Pt Debashish Bhattacharya. 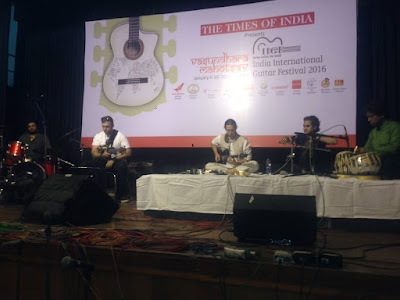 How important is Guru-Shishya Parampara in Indian classical music? Yes, that’s right. It’s incredibly important, I believe, maybe the only way to learn this music to the level the great artists have. It is very difficult for a student from the west to study this music anywhere near the depth that a local student could for many reasons unless they live there for long periods of time. So I guess the relationship I have with Guruji is not a traditional one in that sense. I have learned so much the lessons I have had, studying with other students and watching him perform. I know I will continue to return as often as I can to absorb as much as I can from him. He has helped me personally so much in my development. I hope that this kind of music pedagogy or teaching continues well into the future to preserve this wonderful art form for many generations to come in India! Talking about your Indian connection, how do you feel knowledge about India has enriched you as a musician? That’s easy. On every level! It has dramatically helped my knowledge and application of rhythm for one, it has made me rethink how I approach building a melody, the use of colour and space, even in harmonic music with chord changes like jazz, made me explore and reevaluate what role the human spirit and mind have when performing music and has radically altered how I approach performance practice, how I compose and think of music in general now. And finally, it has really shown me what mastery is and the dedication it takes to achieve it. I am very lucky to have had this wonderful music become part of my life. Some say, Jazz is like Indian Classical music because of the improvisation needed in both genres. What is your opinion about the same? Definitely, they share a lot of attributes, but there are distinct differences too. I think the spirit of exploration and mastery is the same in both, but the forms that they are explored are quite different. For instance, we don’t have the ascending and descending forms of scales/phrases as used in Raags, we can often change Tala for different sections of pieces and have harmonic chord changes to navigate unlike Raag music. But I do believe that there is a huge amount of common ground between both that can be shared and borrowed from either so that is a fair statement. I certainly have been able to explore this common ground in my own work. 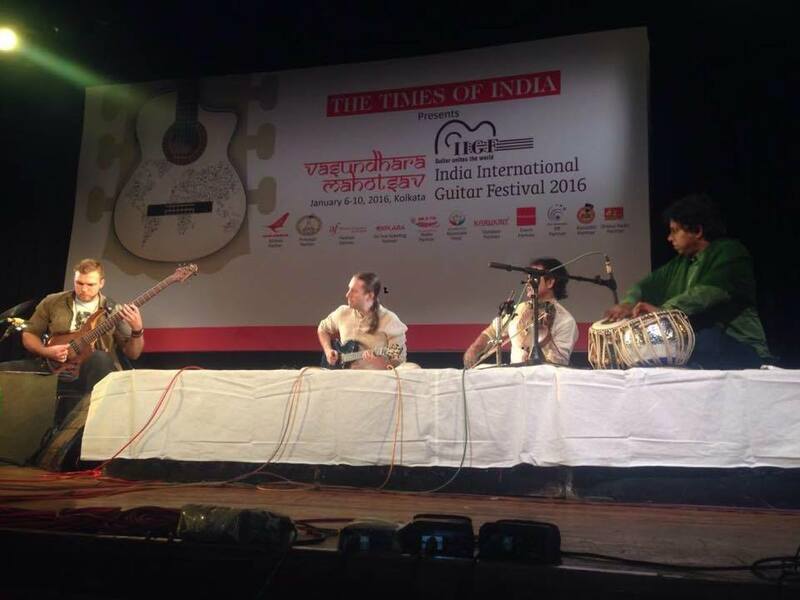 What is your take on guitar festivals like IIGF? How important are these festivals according to you? They are fantastic and very important to developing artists. 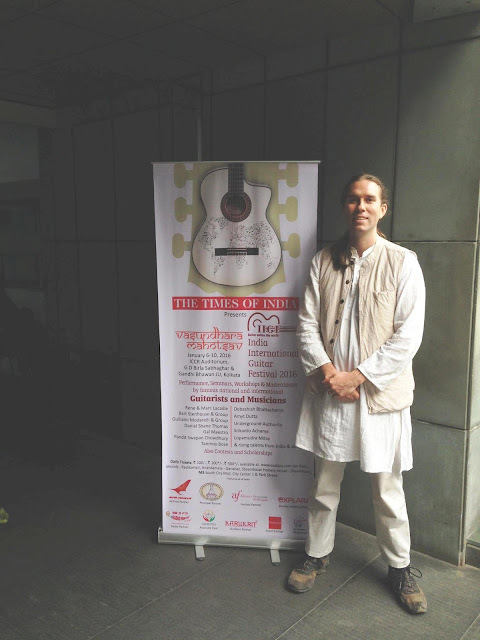 Not only do they bring new audiences to different genres of (guitar based) music, but they also offer an amazing opportunity for musicians from around the world to showcase their traditions and music and display how different world music cultures (Indian music in this case) have influenced their artistic practice. Playing the Indian International Guitar Festival this year has inspired me incredibly to continue my study of improvisation, composition, and world music cultures. I hope to play these kinds of festivals many times more in the future! What are your forthcoming collaborations, tours and albums? This year will be a big one. I am hoping to get my electric jazz fusion ensemble the Bart Stenhouse Group (my main artistic vehicle currently) into my recording studio in Byron Bay this year to record my forth jazz-fusion album. I always try to explore different concepts and textures on each album, so I think it will be quite different from my first three. We are starting to get live work booked around Australia and I foresee much more coming in for the group as the year goes on. We are also looking at the possibility of a small tour of India, Australia, and South East Asia in the next 18 months too. As well as this I am currently in talks with a few great guitar players from the US and Germany about a possible Australian tour in the next 18 months. And finally, I am working on another ensemble to explore a more modal world based compositions. 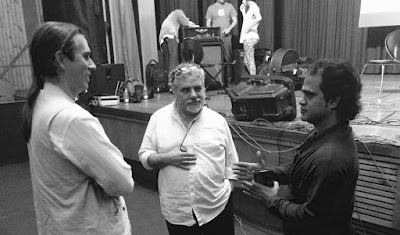 It will feature electric bass, tabla, bansuri flute and flamenco and electric guitar and should be performed by the end of the year. I hope to record the album’s worth of music I have already written for this ensemble at some point in 2016 as well. I regularly update my website www.bartstenhouse.com with news and media on everything as it happens, so if people are interested then they can follow everything happening in my musical world there via the subscription email list and web blogs.